"Would that I could paint a Monet with words to satisfy my creative passion." 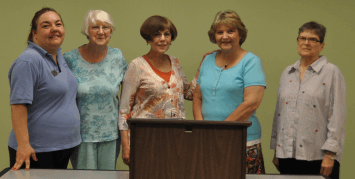 Listen to an interview with Catherine on WRMN. 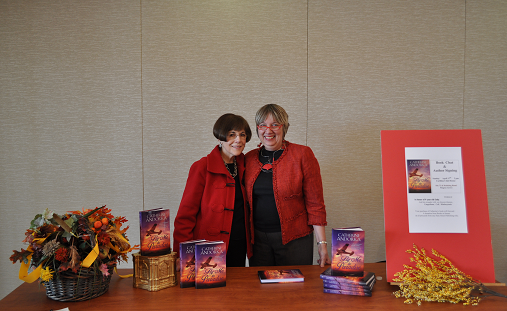 In the coming months, I will be having signings or be present at the following functions. I would love to meet you. Stop by and say hello! 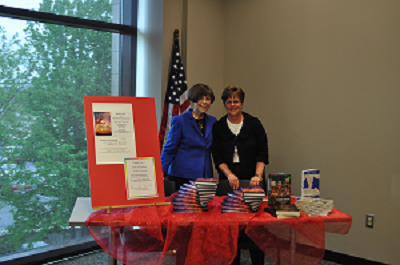 Catherine Andorka with Books At Sunset owner, Judi Brownfield, during her signing at the Carillon Clubhouse in Pingree Grove on April 17th, 2011. 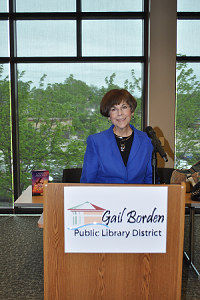 Catherine appeared at the Gail Borden Library in Elgin Illinois, in conjunction with the Authors on the Fox series on May 15 for a book signing and a lively talk about the hands-on research she did for "Fly Me to Paradise." 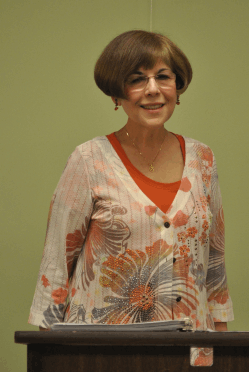 A portion of the proceeds from this event were donated to the family of Cody Neilson, a four-year-old child who suffers from Langerhans Cell Histiocytosis, an orphan disease with no government funding. 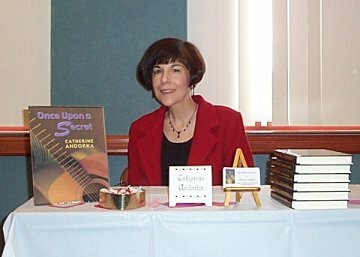 Catherine appeared at the 2003 All for Love conference. copyright ©2000-2019 Catherine Andorka, All Rights Reserved.